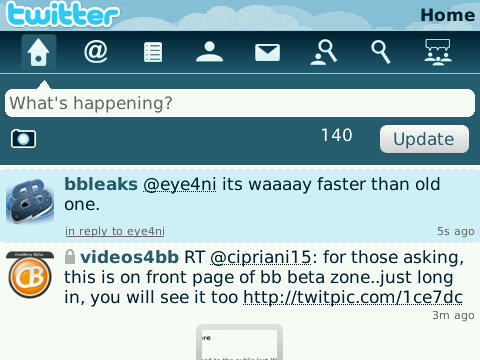 For those looking to get the next beta version of Twitter of for BlackBerry, the wait is over. @BBTweeps has got the leak and posted it up for all OS versions. Simply visit the link below and choose your OS software version. We hear the update adds refresh, a new tweet option from homescreen, and does not lag as bad. Let us know what you think and if you find any new features!